So begins the story of the Scarecrow, a courteous but pea-brained fellow with grand ideas. He meets a boy, Jack, who becomes his faithful servant, and they set out to journey to Spring Valley together. Along the way there’s no end of excitement – battle and shipwreck, brigands and tricksters – and it’s up to Jack time after time to save the day. After yesterdays grand post I feel a nice short one is in order. I also cannot believe I haven’t reviewed a Pullman book yet! This must be rectified. 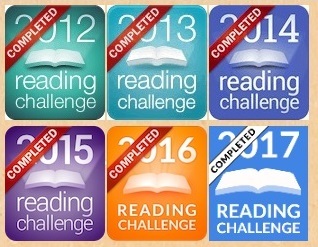 And since we are making it nice and short, no Dark Materials this time, but they will come I assure you; maybe not today, maybe not tomorrow, but someday. The Scarecrow and His Servant is an absurd story but it is fun and light-hearted even when it covers the occasional unpleasant topic. These unpleasant topics are not adult or grotesque in any way, but rather have the ability to be blunt on occasions. This is masked I suppose by the madness and jovial absurdness in characters, and also in the occasional sentimental and touching moments as well, all combining to make the story realistic (as it can be) within the created narrative. The story starts with the creation of a scarecrow and the discovery of this scarecrow by a young boy. Together they have adventures and get into trouble and become friends. The scarecrow is a combination of grand optimism, ignorance and simple dimwittedness. The young boy Jack has some sense in him, and is often having to talk the scarecrow out of trouble he’s gotten in to. And, naturally because everyone is as mad and absurd as each other, his strange explanations are perfectly acceptable. There is a fairytale quality about this story which Pullman is brilliant at doing, he adds magic and surrealism to real life places and circumstances that tweaks reality a little but keeps everything else alone. I rather enjoyed this book, it was different and curious, but there was moments in the story that seemed so obscure and strange that you just had to go along with it. Some moments in the scarecrow and Jack’s adventures are heartwarming, while others are dangerous and seems quite stupid. It is best to remember that this is in fact a scarecrow and a child, no matter how in control either of them seem to be. And the fact no one notices/minds the walking talking scarecrow is another thing you don’t really notice until you think about it and then it just becomes something you accept. I particularly liked the ending, after the mystery and tangents and questions it was nice to see some form of resolution. 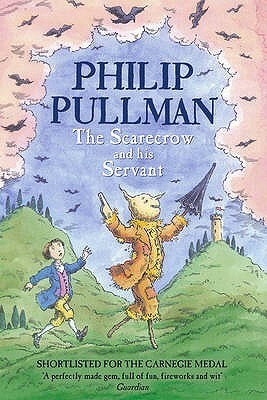 With all the characters and friends the scarecrow and Jack come across it is a fitting ending given their strange journey, and Pullman manages to bring the story round from its madness very well indeed. Despite being a children’s book I think with its twists and turns, adventure and suspense the story is engaging for everyone and it adds a bit of silliness which, when done as well as this, is never a bad thing.